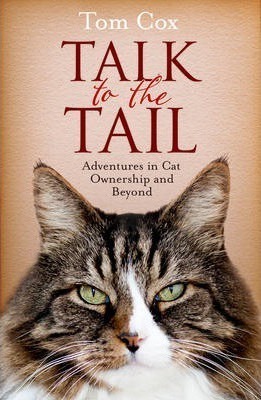 Following on from Tom's life with six cats in UNDER THE PAW, he now picks up the story in TALK TO THE TAIL, updating readers on what has happened with his feline friends as well as looking back for more confessions about his animal-loving past. Readers of Tom's previous book will be delighted to read what has happened to his six eccentric cats. Why does Janet keep bringing 1980s sweet wrappers into the house? Will 24-hour surveillance of The Bear, using a state-of-the-art cat GPS system, finally solve the mystery of his wanderlust? Tom also writes about his bumbling forays into the remainder of the animal kingdom. He attempts to overcome his crippling fear of horses with disastrous results, chase ostriches in Kenya, put his hand into a tiger's mouth for 0.9 seconds and he meets his 'alter-doggo' -- the spaniel Tom regularly walks who likes to roll around in dead animals. Where will it all end? Will he give in to temptation and get a dog, a goat or even more cats? With this soppy creature-obsessive, anything is possible.